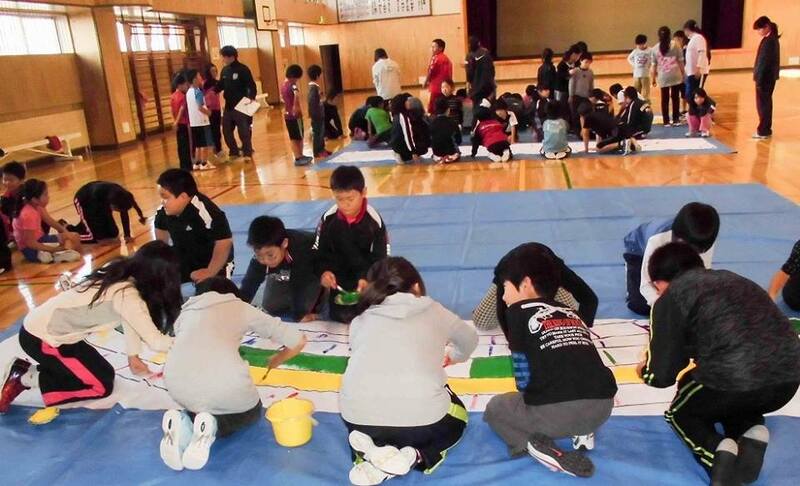 The Biggest Painting in the World 2020 in RanEtsu was completed at Ranetsu Primary School of RanEtsu-cho, Hokkaido, and their school master sent us the photos. 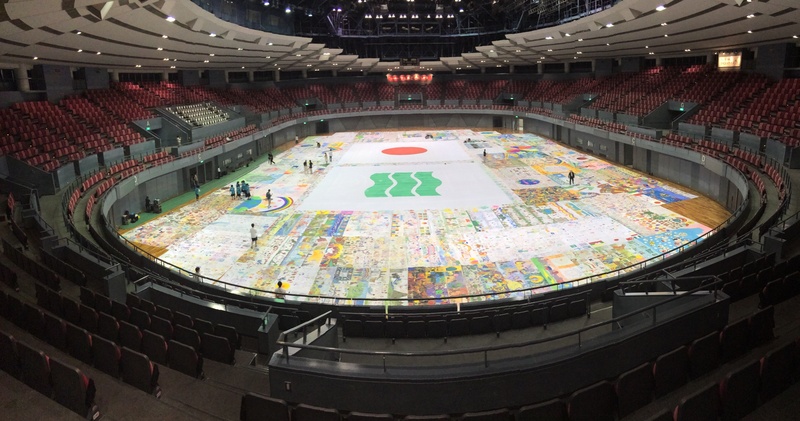 The Biggest Painting in the World 2020 in Rankoshi was painted by the pupils of Rankoshi Primary School of Rankoshi-cho, Hokkaido. 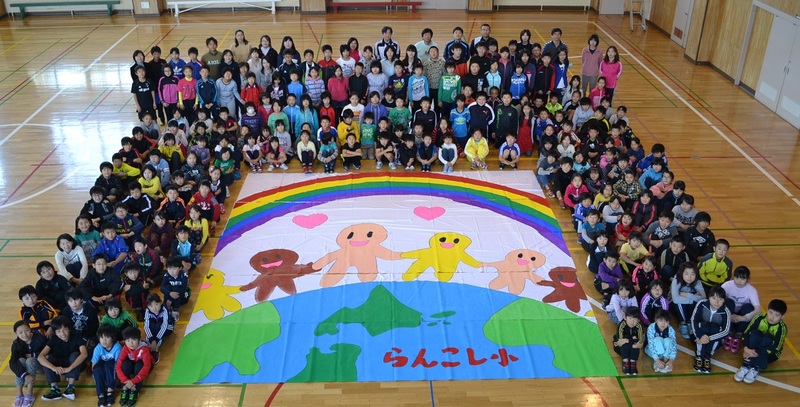 The Biggest Painting in the World 2020 in Rankoshi was painted by the pupils of Rankoshi Primary School of Rankoshi-cho, Hokkaido. They had a contest for its design and the best ten designs were chosen from which one each by 2nd grader, 4th grader and 5th grader were combined to make the final design. No such approach had ever been done. MR. Sato, one of the representatives in Hokkaido, took part in the process. We are very thankful to three representatives, Mr. Sato, Ms. Shirato and Ms. Shirota. visited the municipality Rankoshi Elementary School in the Rankou City, Hokkaido and handed the cloth of the Biggest Painting in the World. By guidance of Mr. Sato, a representative of Hokkaido of the Biggest Painting in the World, I visited the municipality Rankoshi Elementary School in the Rankou Town, Hokkaido and handed the cloth of the Biggest Painting in the World.